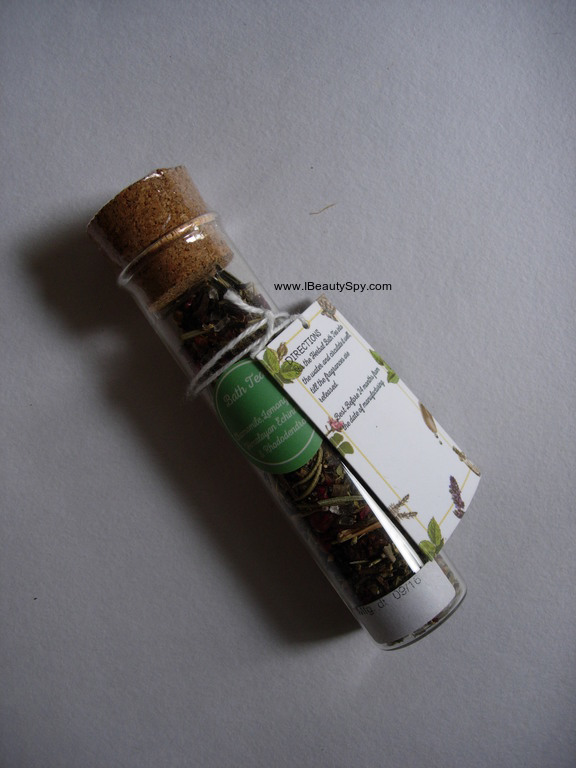 Today I will be reviewing couple more products from the brand The Herb Boutique. I tried their Green Tea & Eucalyptus Body Polish and liked it, though I felt it was expensive. Let’s see how The Herb Boutique Herbal Bath Tea and The Cleansing Ritual Charcoal and Green Tea Soap fared on me. Our rich Herbal Bath Tea with chamomile and lemongrass is made with purest ingredients to give you a soothing and relaxing bath . Filled with the aromatic power of chamomile and the healing powers of lemongrass, you are assured of relief from such disorders as unhealthy skin and unbalanced hormone. Its rich antioxidant and flavonoids content is the perfect touch your skin craves for. This is the first time am using a bath tea. It is basically just like a bath soak, you just need to add it in your bucket of water. Since it contains a lot of soothing natural ingredients, I expected the fragrance to be relaxing and uplifting. But I was quite disappointed, as there was not much of a fragrance. Only a mild herbal tea fragrance. Also unlike a bath salt which dissolves in water, it left a lot of residue on the bathroom which needs to be cleaned up. 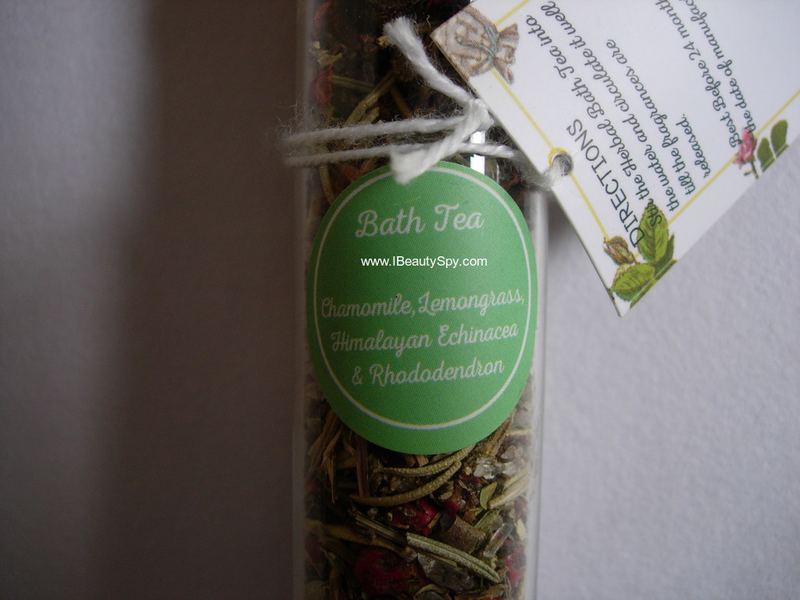 * A unique formulation of herbal bath tea which no other brand has come up with yet. * Impressive list of natural and soothing ingredients. * Organic and vegan product. * Fragrance is not much. * Expensive for the quantity provided. I actually have mixed feelings about this product. 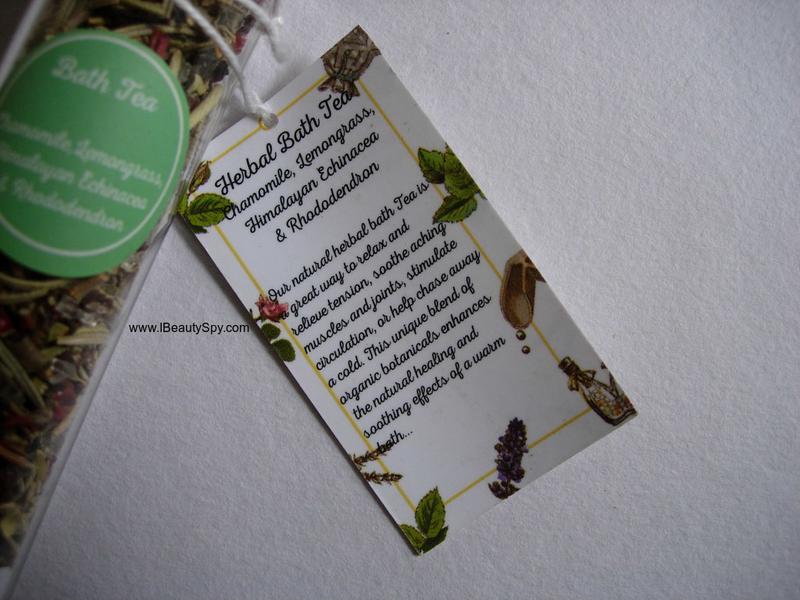 While a herbal bath tea seems like the ultimate spa experience, I didn’t feel the same effect as from a bath salt. The fragrance was too mild. And even the price for the quantity provided is expensive. So I don’t think I will repurchase unless they lower the prices and change their formulation. This soap combines the richness of quality green tea that has been steeped for 24 hours for maximum benefit and the deep cleansing quality of the black soap. While in the bathtub, you are mesmerized by it alluring scent and smoothness as it glides on your skin. It is mild enough to be used on the face and whole body for a thorough cleansing. The combination of these two will leave your skin looking fresh and clean. The soap comes in a round form and is black in color due to the presence of charcoal. It has a mild and soothing fragrance of mainly green tea. It lathers well and cleanses the body effectively. It doesn’t dry out my skin. My skin feels smooth and deeply cleansed. 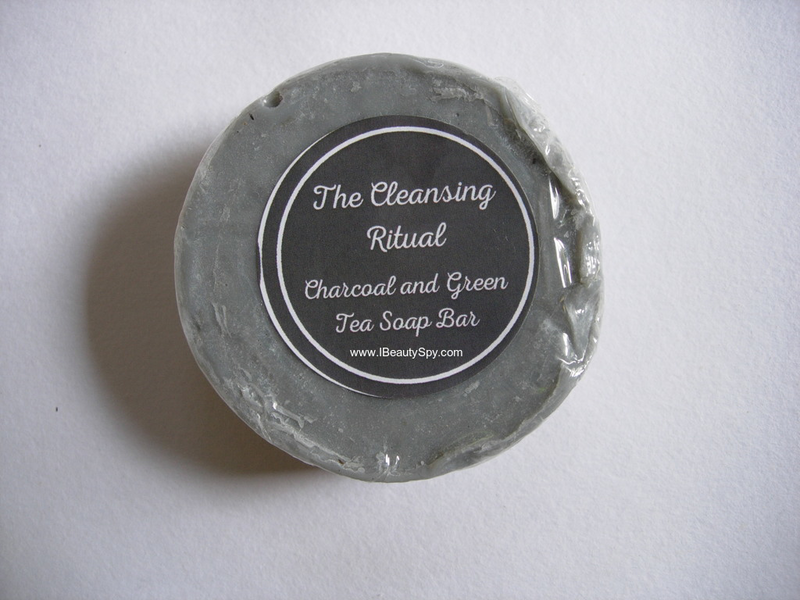 Charcoal and green tea both have detoxifying and clarifying properties. The soap doesn’t melt easily and lasts for a really long time. My only concern is that the ingredients list is not mentioned anywhere in the packaging or their website. * Contains goodness of charcoal and green tea both of which are good for skin. * Ingredients list not mentioned. This is the first time am using a charcoal soap and I liked it. It will be good to use during summers to detoxify the skin. Yes, I too love the packaging. It looks luxurious and classy. I love using charcoal products on my skin and teeth! Never used a charcoal soap before. This charcoal soap is impressive! I have never used charcoal products on my teeth. Is it effective? Charcoal soap?! 😀 Interesting! I personally love using products which contain charcoal. Really good for skin and teeth. Really intrigued to try charcoal soap by your review, lovely packaging.